All my Art is made with lots of passion and love, each piece is individual and unique. My desire is to create and bring new ideas to life as a self-taught full-time artist. Living in the most inspiring country Ireland I get wonderful insights. 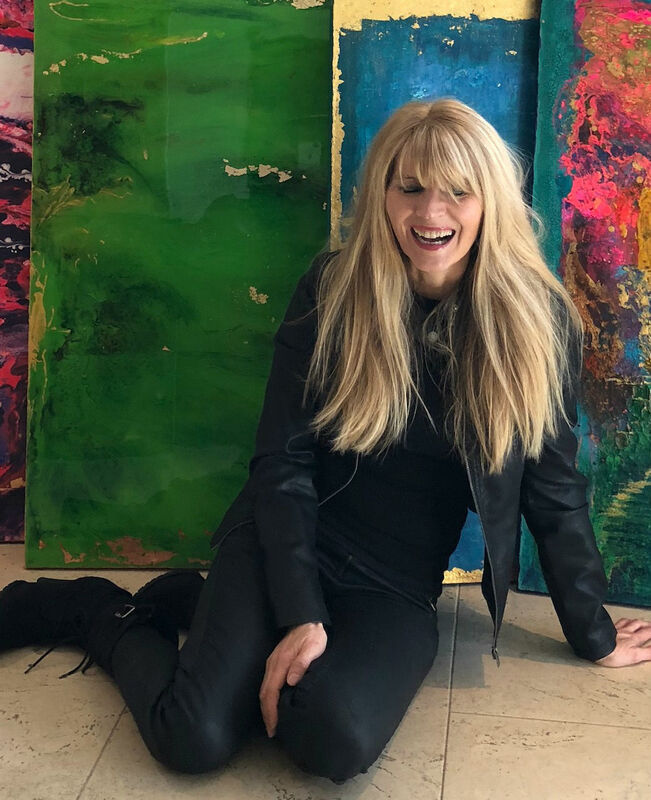 Ireland is full of colours and delivers me the magic to create and discover the hidden beauty in each of my paintings – never know where the journey brings me when I start to paint. I was born and raised in Germany, I also lived in sunny California for a few years. Today I combine all my experience from living in different countries – love to travel and nobody knows where we might live tomorrow. As a free spirit with many ideas and Dreams in my mind, painting gives me the opportunity to do what I love and love what I do. I put all my creativity and emotions into my paintings and also leave space for you to experience your own individual interpretations. My Art creations are mostly of copper, gold leaf, silver leaf and real gold leaf like 24% carat gold. Abstract, faces and fantasy paintings are my favourite spiritual inspirations at this time in my life. Let me get you inspired as well to share and follow me on this journey. Please let me know if you have queries -my e-mail address is info@marenpalm.com Looking forward to being in touch with you.